The prerequisite for this course, the “12-week Chord Progression Practice (for beginners)” laid the foundation for playing full-triad-voicing in all twelve keys, using six popular progressions. Now, let’s take this chord exercise regimen further by introducing seventh chords. 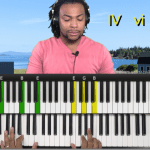 In this course, “Seventh Chords – 12 Weeks Progression Regimen (for Later beginners)” you’ll be introduced to the Major Seventh, Minor Seventh, and Dominant Seventh Chords using full two-hand voicing. 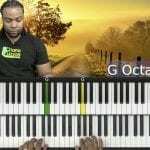 This course helps me a lot to play seventh chords comfortably and not to be intimidated to play it in all 12 keys. Not just that, it also taught me to play with technique so I can play without thinking what finger to use and just focus playing with feelings and emotion.